Element’s 2 high rolling mill incorporate design considerations to counteract the roll bending stresses present when reducing material. These designs can range from simple crowning of work rolls to counter-bending roll shape controls. Rolling mills can have multiple different configurations that are used depending on material type, thickness and yield strengths. 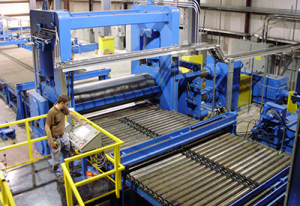 Element has built a wide variety of rolling mills to fit multiple applications. 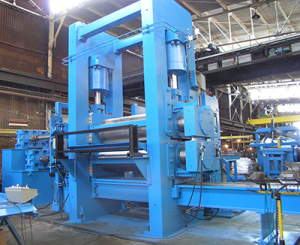 Element has supplied 2 high hot or cold rolling mills designed for specialized separating forces and outgoing materials. Our mills can be supplied as standalone equipment for ingot or plate reductions or as part of our total line equipment with coil processing handling equipment.